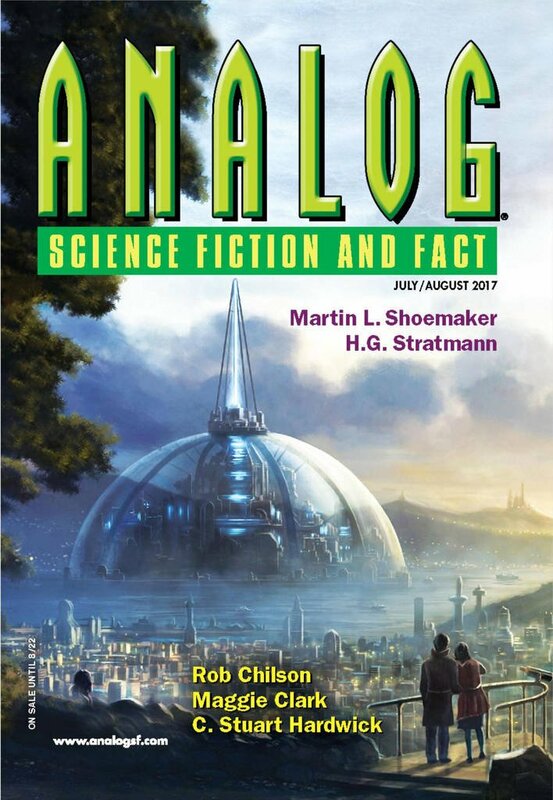 "Perspective," by Kyle Kirkland [bio] (edited by Trevor Quachri), appeared in Analog Science Fiction and Fact issue 07-08|17, published on June 15, 2017 by Penny Publications. Pro: She figures it out, and the result is suitably astonishing. She opts for the truth over deception, despite the cost, and that’s always admirable. The idea that the President has lost the piece of his brain that lets him believe in death is a very interesting one. Con: It’s hard to believe a politician could get all the way to the Oval office without a hint of this leaking out.